Economical – Pellet home heat is consistently more economical than coal, oil or electric. Environmentally Friendly – Our pellets are made from sawdust and shavings providing a useful and productive end to mill byproducts. 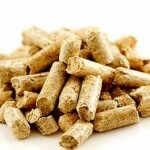 Pellet fuel is also the most environmentally friendly with less carbon emission than coal oil natural gas or electric.